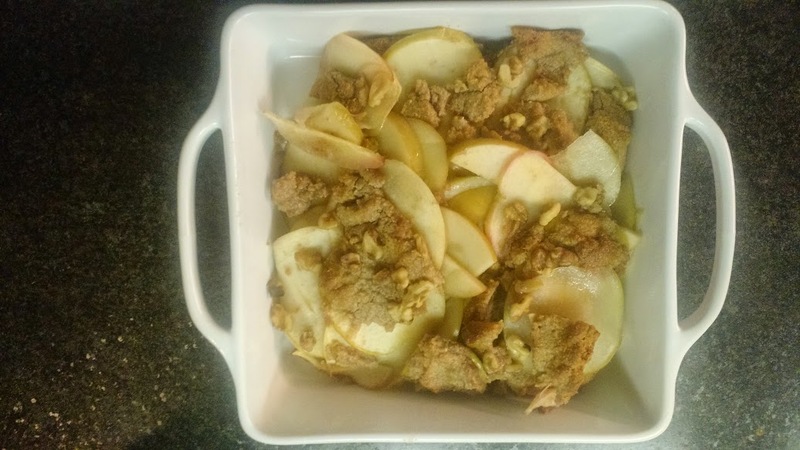 This apple crisp dessert recipe is so simple to make, incredibly delicious, and you can feel good about all of the gluten-free, all-natural ingredients. Added bonus – it’s also dairy free and sugar free! Bring this to your family’s holiday gathering. It won’t last long, I promise. Recipe courtesy of My Gutsy and slightly modified. Wash and cut the apples into thin slices (recommended 1/4 inch slices). Reminder to remove the seeds! 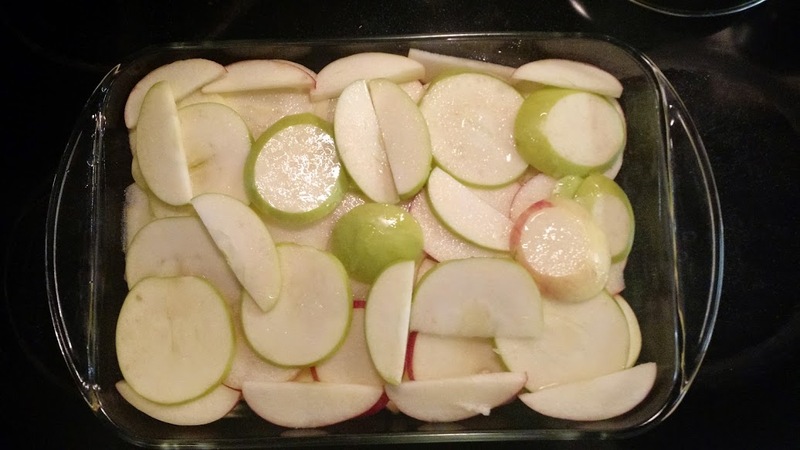 Layer the apple slices almost to the top of a baking dish and squeeze 1/2 cut lemon over the apples. 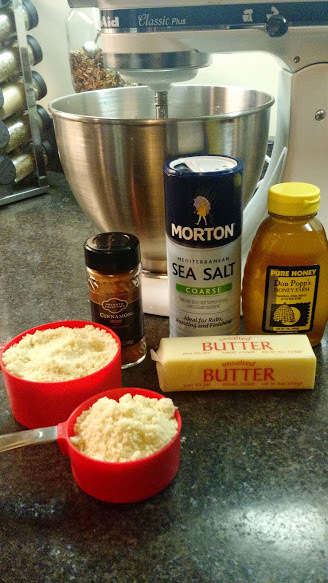 Combine the remaining ingredients into your Cuisinart mixer and pulse for about 10 minutes until you get a crumble topping. 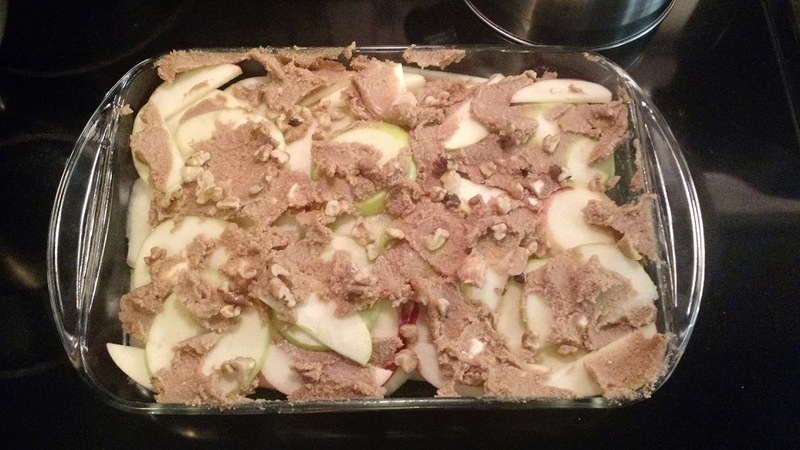 Spread the crumble topping over the layered apples and sprinkle a hand-full of chopped walnuts. Bake for 80 minutes, or until the crumble topping is lightly toasted. As a holiday tradition, my best friend Jennifer and I get together to bake a special dessert and watch our guilty-pleasure movie favorite, The Holiday. 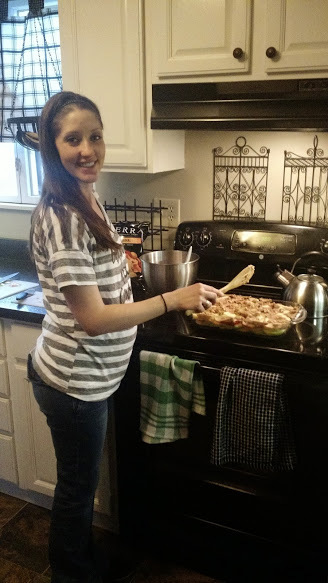 Here’s Jennifer looking cute-as-ever with her baby bump. She definitely has that beautiful pregnancy glow! For more gluten-free, dairy-free, and sugar-free recipes, check out my Pinterest board.